Our Cellophane and Polypropylene bags offer a wide assortment of sizes and styles including printed, non-printed, frosted, hard bottomed, and styles with or without side gussets. Many bags are heat sealable with a fold-over bottom seal for extra strength. All bags are FDA approved for direct food contact and provide excellent moisture, oxygen, and aroma barriers. 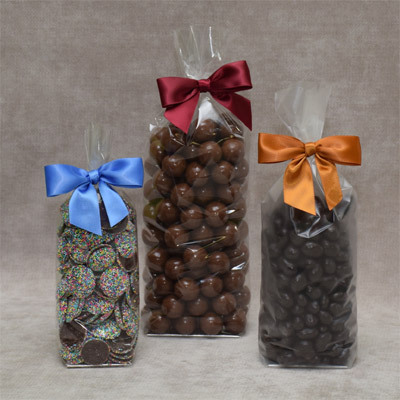 These bags are perfect for showcasing bakery items, candies, and so much more. Our selection makes finding a bag to reflect your personal style incredibly easy.